On this day in 1859, in Harpers Ferry, United States Marines under the command of Lieutenant Israel Greene broke through the door to “John Brown’s Fort” and captured Brown and his raiders. One Marine, Private Luke Quinn, was killed. Someone caught Greene’s attention, meanwhile, and pointed out Brown, whom he (Greene) then slashed with his sword. The whole action lasted about a minute. Greene later resigned from the Marines and fought for the Confederacy. Exactly forty-eight years earlier, on Buffalo Creek, Monongalia County, or about 165 miles to the west of Harpers Ferry, Waitman Thomas Willey was born. Both events—Brown’s raid and Willey’s birth—were crucial to the creation of the new state of West Virginia. 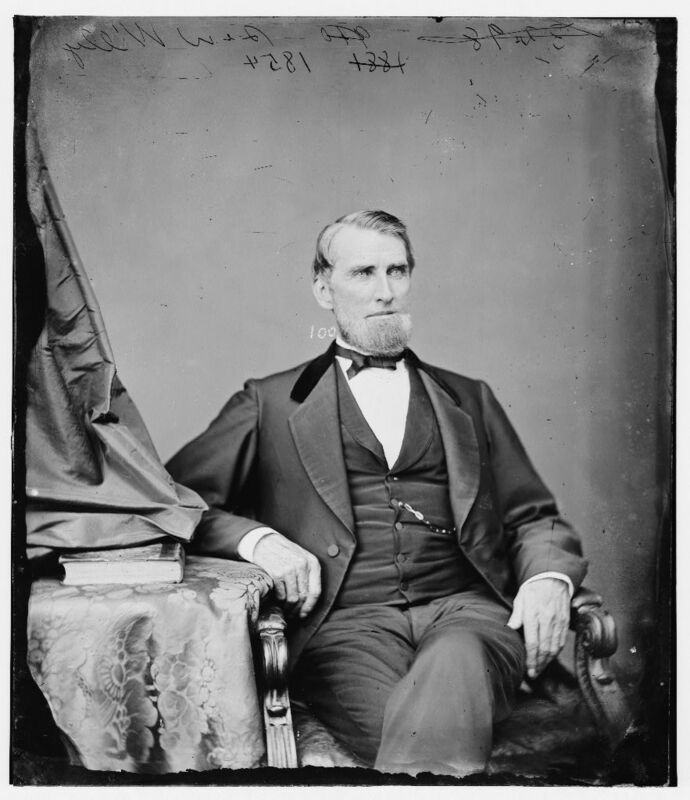 Willey represented the Restored government of Virginia in the United States Senate during the Civil War, which is to say that he represented those Virginians who, in 1861, had refused to secede. Willey himself had been a delegate to the Virginia Convention that voted to leave the Union, but rather than convene when all was seceded and done, he and his like-minded comrades simply moved the convention to Wheeling. Radical Republicans, like Charles Sumner of Massachusetts, argued for immediate emancipation as a requirement for the state’s admission. A former slave owner, Willey was reluctant to embrace such terms and initially supported emancipation only if it was accompanied by compensation for the economic losses incurred. Yet, after intense discussion, Willey offered a compromise stating that “all slaves under twenty-one years old on July 4, 1863, should be free on arriving at that age.” The Willey Amendment secured the acceptance of the statehood bill by the U.S. Senate in July 1862 and by the U.S. House of Representatives in December. There is the sense that West Virginia was created as a haven for Virginians who were just itching to abolish slavery, but Waitman Willey—not to mention Senator John S. Carlile, who opposed the bill because it called for even gradual emancipation—suggest that this truism is a little too simple.